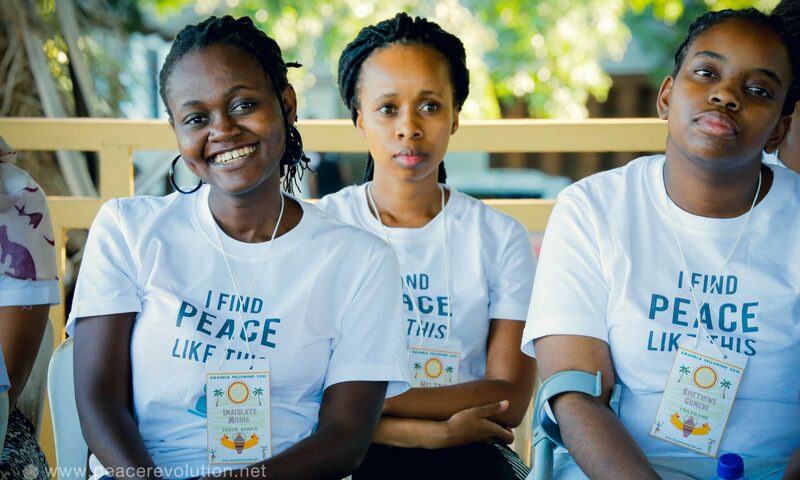 To celebrate the International Day of Peace, there was an event organized by Peace Revolution Cameroon with about 50 participants from 15 countries: Cameroon, Nigeria, Ivory Coast, Algeria, Kenya, Uganda, Zambia, Germany, Serbia, Canada, United States, and Colombia among others. The theme of this year’s event was titled as “Together for Peace, Respect, Safety and Dignity for all” by the United Nations, however, the topic of the discussion for this event was “What is your case? Let’s talk about Peace and Progress for all”. Molinge Henry, Regional Coordinator (North, Central and West Africa Region) of World Peace Initiative (WPI) was the moderator of the discussion. The event started with the moderator welcoming participants and asking everyone to introduce themselves. He invited every participant to suggest topics for discussion that might be considered pertinent to each person; for instance, Jude from Nigeria suggested “Peace and harmonious coexistence”. Then, the moderator continued by asking for the definition of “Peace”. He defined peace as “not just the absence of conflict but as a state of mind” meaning that irrespective of what is happening around, the state of mind determines your response to the external environment. Jude from Nigeria defined peace as “the respect for life and fellow human being”; he further alluded that “peace cannot be achieved by force, rather it can be achieved by understanding, hence the concept of PIPO (peace in, peace out)”. Marija from Serbia also defined peace as “being calm and patient from within with kindness”. According to Marija, kindness from within will help one avoid mistakes caused by hasty decision making. Hence, we always need to be observant and patient – it helps us tolerate other people even when one gets offended by them, you learn to spread loving kindness to everyone. When you have control over your mind, you can influence your responses to negative jabs and activities outside. Yannick from Cameroon defined peace as “freedom from disturbance”. Solm from Uganda defined peace as “the state of being mentally and spiritually at peace, with enough knowledge to keep one strong”. Participant from Zambia defined peace as “stability in contention”. The general consensus was that peace begins with every individual. Taking a look at the current situation in south-west Cameroon, where there have been civil unrest and an almost breakdown of social services, students have not been able to go to school for about a year. Marija from Serbia talked about the conflict that erupted in the 1990’s in Serbia when churches got burnt and religious war began. Jude from Nigeria highlighted the effect of violent extremism in north-east Nigeria, an area bordering with Nigeria, Niger, Chad and Cameroon, on how the activities of Boko-Haram have negatively affected the inhabitants living in these areas. Aminata from Ivory Coast said that peace in her country seems to be a mirage; citizens seem to be more afraid of the next presidential election circle which is around the corner. In talking about solutions to fostering peace, the moderator suggested to use dialogue as a way forward towards bringing calm and order to the current situation in Anglophone-Cameroon. Irrespective of the situation, peace must not be threatened; he further made a clarion call to all stakeholders to forge a way forward for peace. Jude from Nigeria highlighted that military response to conflicts have never brought lasting solution; he further stressed on the need for dialogue among stakeholders. Marija also suggested dialogue as the solution being implemented towards healing process for Serbia. The moderator talked about the essence of communication, it is very vital because messages can be misconstrued when mode of communication is not clear. Leadership entails mindfulness, especially those in a position of authority, leaders must remain positive minded in times of so much unrest, using every available means to spread the message of peace and harmonious coexistence among people. We must look out for one another, avoid using harsh and divisive words towards one another, learn to live at peace with oneself and others. The moderator went further to encourage participants to sign up on www.peacerevolution.net for mentoring on peace building and self development exercise. Try to see the world in a positive light in every darkness, look for gain in every pain, learn to control your mind to conceive positive things, make up your mind to be an ambassador for peace in your community. Endeavour to practice meditation daily. Love, respect, patience, tolerance, politeness are universal virtues to be cultivated in our lives to enable us live peacefully with everyone. Create more platforms for dialogue and always take the initiative towards Peace Building. Let us “walk the talk”!